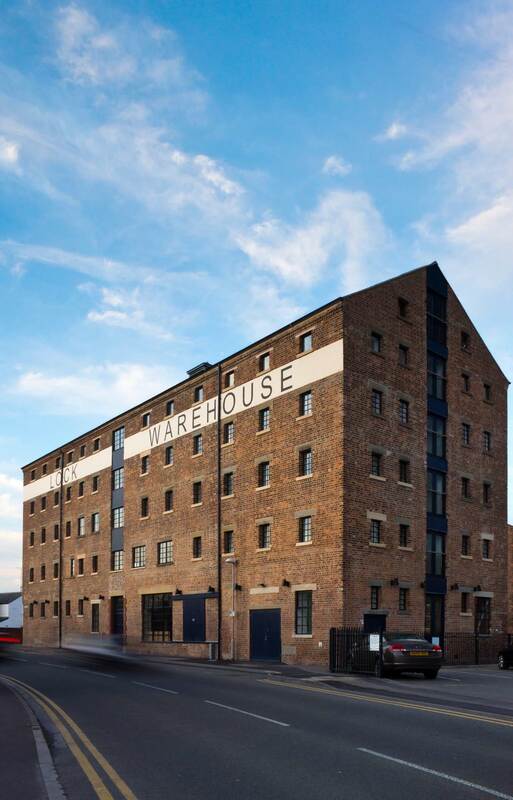 Lock Warehouse is a Grade II Listed Victorian warehouse situated in the heart of Gloucester’s historic docks. Built in 1834 for Messrs J & C Sturge, the leading corn merchants of the day, the warehouse has throughout the years had several uses and owners. In 1979 the building was bought by E J Cook, who adapted the interior to house a furniture restoration workshop and arcades of small shops selling antiques and collectables. Upon the relocation of this provision to another location within the docks, Lock Warehouse was converted, following Planning Approval and Listed Building Consent being gained, into 26 one and two bedroom contemporary apartments throughout its five floors and roof space.